A new interface concept that offers many possibilities for direct combination of individual stations. 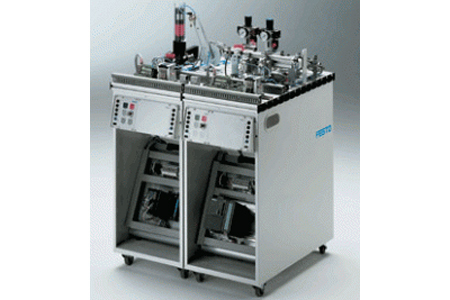 The complete systems MPS® 200 section gives an overview of the most popular combinations. The conveyor enables all MPS® stations to be interconnected. The conveyor is simply mounted between two stations as the linking element. This facilitates the set-up of customised training arrangements. * The Punching station can be used to upgrade the Robot station. ** The Separating station can be combined with two downstream stations placed at right angles.